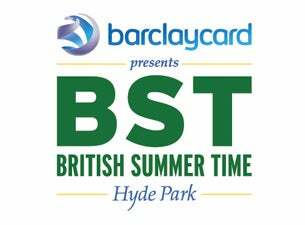 Headliners for this year's Barclaycard British Summer Time in Hyde Park have been announced. Celine Dion with guests Josh Groban and Claire Richards will head to London on 5 July 2019 to open the weekend. Stevie Wonder brings his Song Party – with very special guest Lionel Richie and Barbra Streisand with special guests Bryan Ferry and Kris Kristofferson + more to be announced headline on the Saturday and Sunday. Florence + The Machine co-headline with The National will follow on Saturday 13 July 2019, and Robbie Williams will be joined by The Black Eyed Peas, Keane, Texas and Feeder on Sunday 14 July 2019.